Hi everyone! 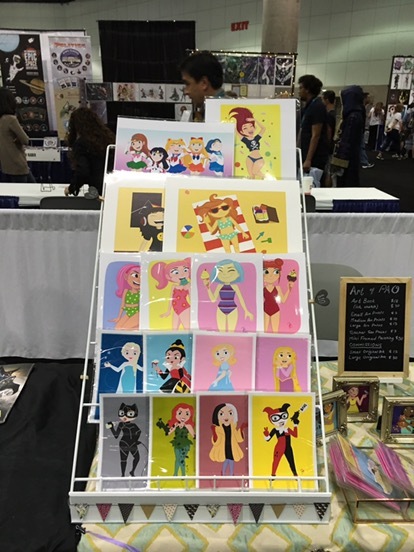 It’s that time of the year again wherein I will be back in Artist Alley at this year’s WonderCon. Unlike last year, the event will be held in Anaheim Convention Center again like the previous years. Another difference this year is that I will have my own solo booth. I am both nervous and excited to do it on my own this year. I can’t for all of you to see the new originals and art prints that I have in store for the 3 day event. 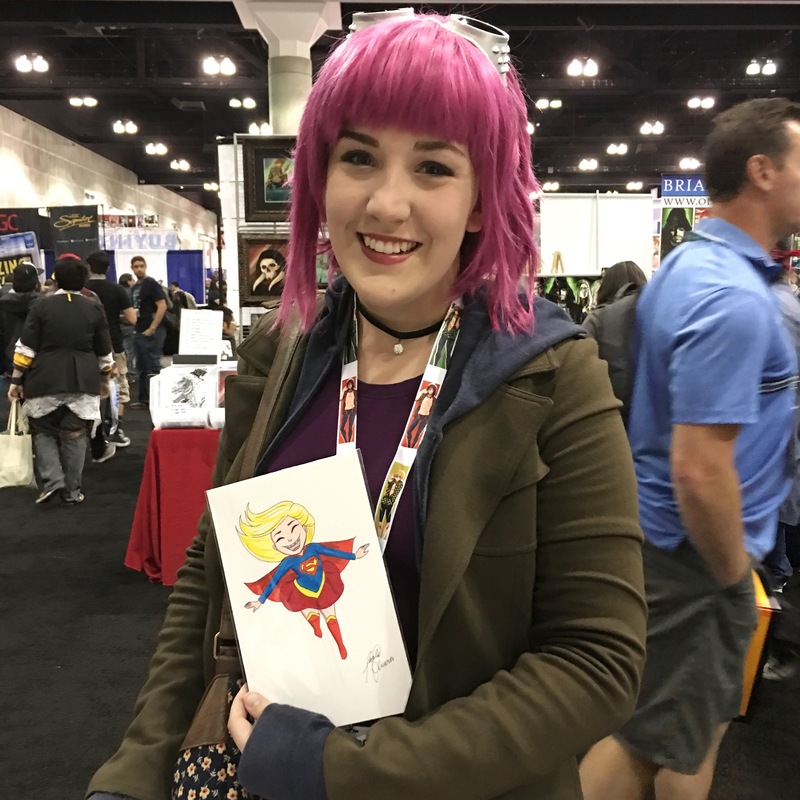 WonderCon will be held from March 31-April 2, 2017. 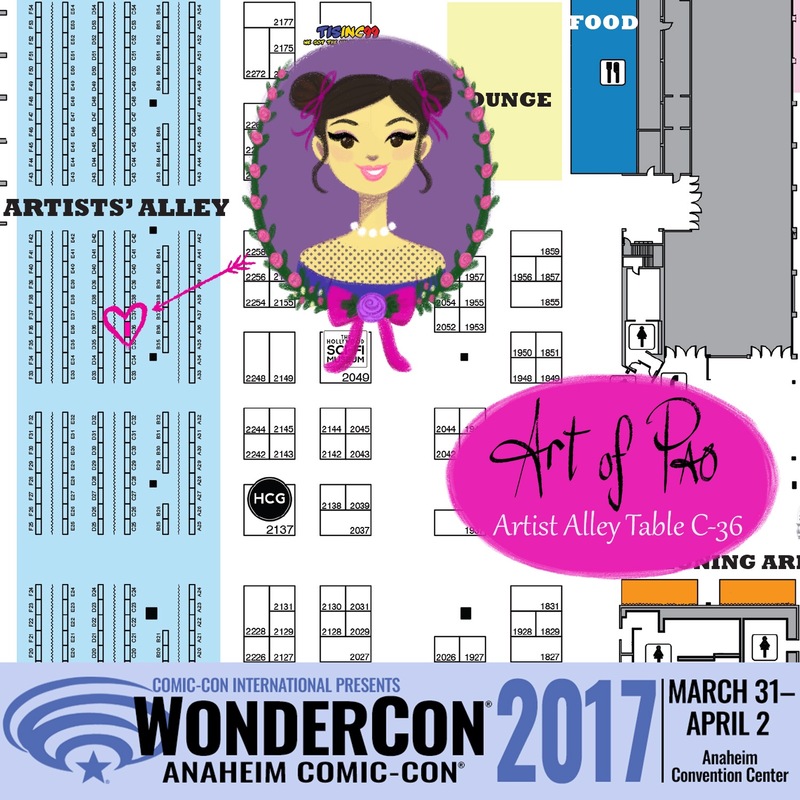 I will be at Artist Alley C-36. If you are in the area and plan to attend, feel free to stop by and say hi. 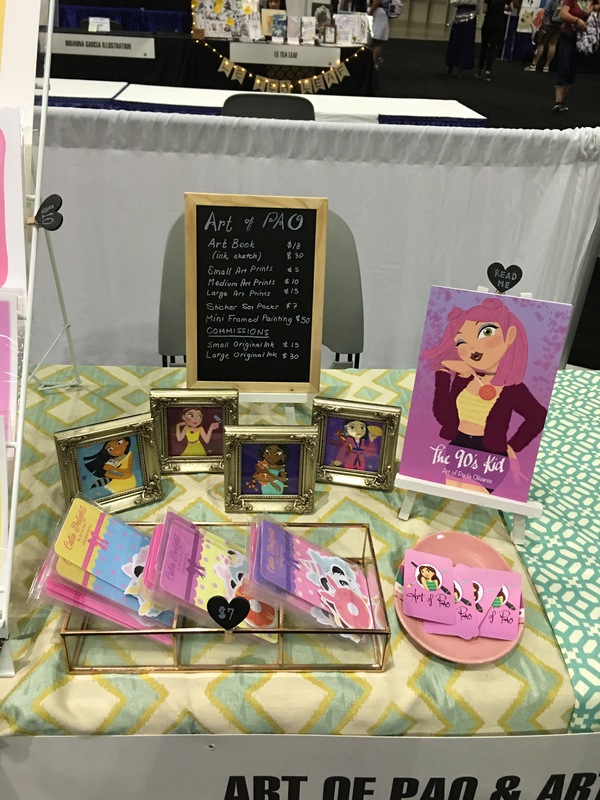 I will also have chocolate eggs and bunnies for every purchase at my booth. Hope to see you all there! Hi everyone! I’m so excited to announce that I will be a part of DesignerCon for the 1st time this year. 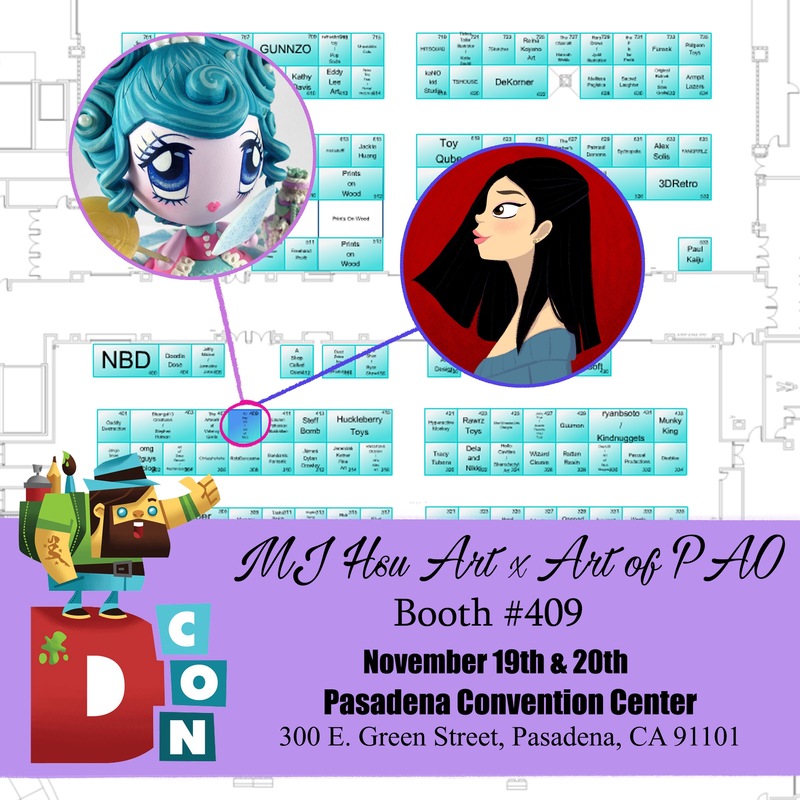 I will be sharing a table with MJ Hsu Art at Booth #409. Aside from the “Tiny Wonderland” art show that I’ll be participating at Leanna Lin’s Wonderland this September 10th, I will also be back at the Artist Lodge to sell my art and do commissions this September 17th from 5-9pm. In addition, I will be part of the “Stranger Things” tribute art show at the same event from 4-9pm with an artist signing at 7pm. The Artist Lodge and the Stranger Things tribute art show are both hosted by fan*alley. Both events will be held at 721 E. Anaheim Blvd. Anaheim, CA 92805. I will be posting sneak peeks of the art process and final look of my artwork for the tribute art show at my Instagram, Facebook and Patreon. Stay tuned for all those art updates and info for the events! I am pleased to announce that I will be a part of another art show curated by Hana Kim in Leanna Lin’s Wonderland again in September along with amazing artists in the industry. 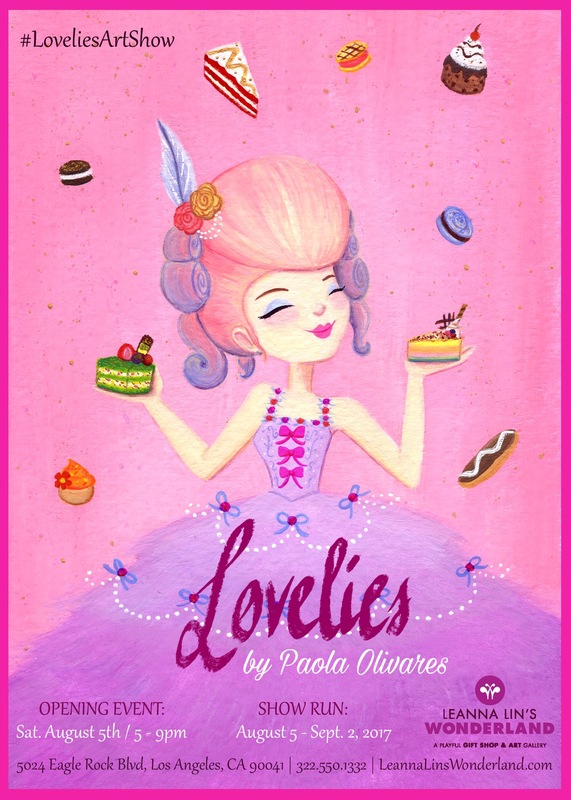 Opening night will be on September 10 from 6-9pm, and the show will run until October 23. 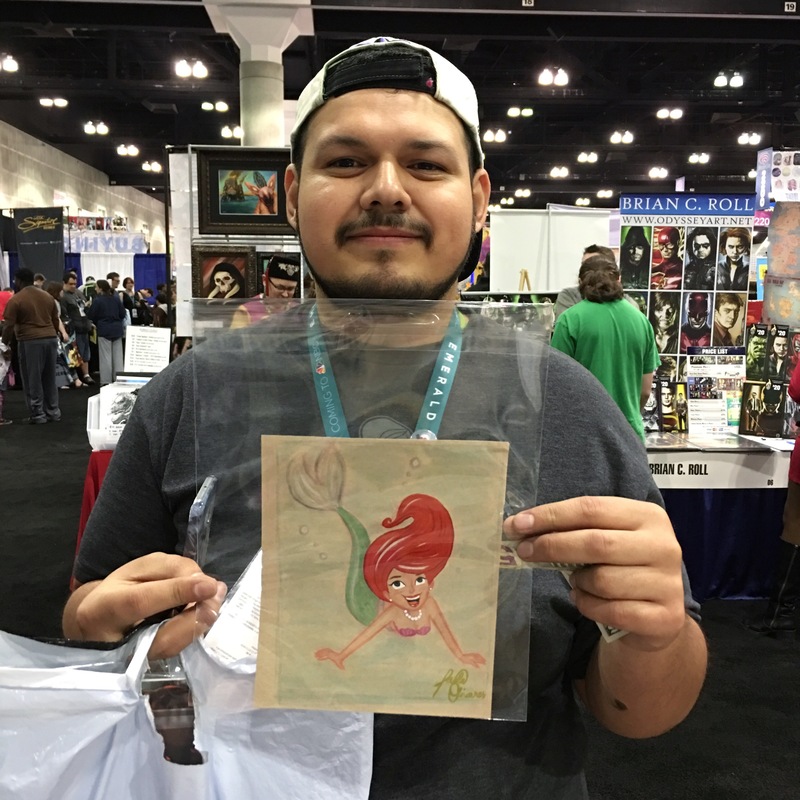 The upcoming art show will feature artworks that are at least 5″ or smaller. It’ll be a fun challenge to make tiny artworks for the show. 10% of the art sales will go to Citystage, which is a non-profit performing art organization in Los Angeles dedicated to the youth. I will be posting sneak peeks on my Instagram and Facebook page as well as the art process on my Patreon, so don’t forget to follow, like and subscribe in the following pages listed above. I’ve been busy making new artworks for some projects that I have lined up. It will be a while until those will be finished especially when taking care of my little energetic boy at the same time. Do not fret though. I will still be doing some events within the remainder of the year. 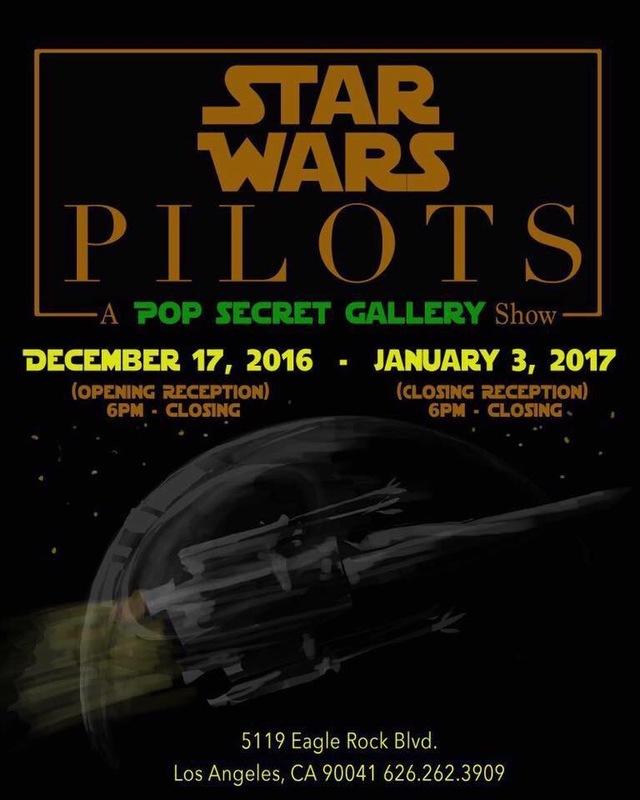 My upcoming event is an artist pop up hosted by fan*alley & Pitfire Pizza. It will be held on June 29 (7pm-9pm) at Pitfire Pizza, 730 S. Arroyo Pkwy, Pasadena, CA 91106. 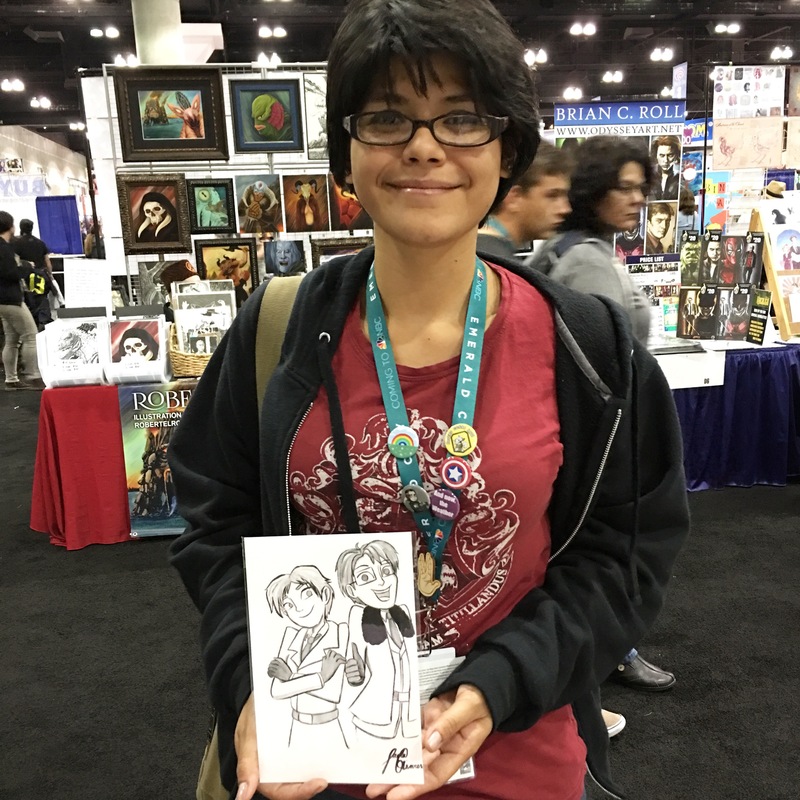 Though this was my 2nd year exhibing in Artist Alley at WonderCon, this was my 1st time being there at the booth since I gave birth last year on the opening day of WonderCon. It was very hectic prepping for the event, but it was truly fun and exciting seeing old friends and meeting new people. 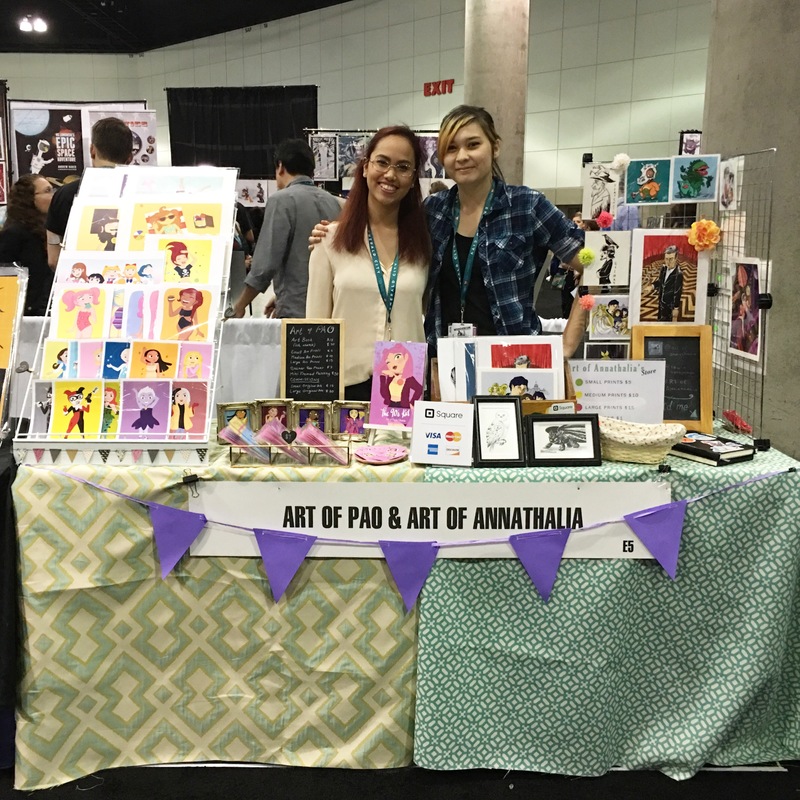 Like last year, I shared a booth with my dear friend, Annathalia. The only difference is that we decided to have our business names on our booth, and that I am present this time unlike the previous year. As I mentioned before, I’ve been working on my new art book, which arrived just in time for the event and will be available online this week along with new prints & stickers. 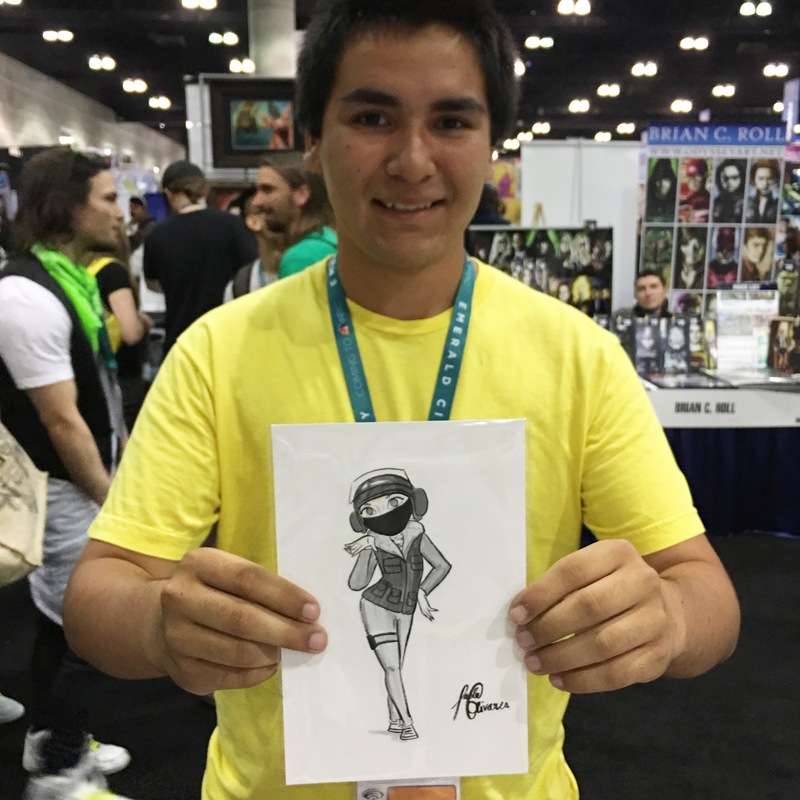 There were also a few people that enlisted me for commissions, which was something new and exciting for me to do since I’ve never really done an on-the-spot commission work. I’m glad though that they all liked their artworks. Overall, I would just like to thank everyone that came by and showed some love and support for both me and Annathalia. It was great talking to everyone, and learning new things. As you may know, I’ve been quite busy lately preparing for WonderCon. Aside from that, I have great news! I just want to announce that I will be a part of Leanna Lin’s upcoming art show, “California Love,” which will be curated by Hana Kim this March 5th at 4pm, Saturday. “California Love” is an art show dedicated to all things we love about living in California with which will feature distinct landscapes, attractions, foods, fashion & memories that you can find here. I am so excited and flattered to be with these amazing artists, some of which I’ve had the pleasure to meet, and inspired me with my art. I will be posting my art process for the pieces that I’ll be making for the show very soon.